Home / Life & Culture / Is It Really So Bad to Want to Be a Princess? Disney Princesses have become a much-discussed and polarizing subject in today’s culture. There is the pro-princess group that still believes in Prince Charming and dancing at the ball. Then there are those who want to throw the princess loving ladies to the dragons, believing they have been lied to about real life. Fortunately for all of us, realism has not been a part of the Disney brand for decades. If it had, cars couldn’t talk, magical nannies wouldn’t appear with umbrella in hand, children would never fly, mops couldn’t dance and toys would be left on their shelf…never leaving the house for their own adventure. We don’t usually go to the movies for realism, there’s enough of that outside the theater walls, so why ask Disney to bring it to the screen? I think I land somewhere in the middle of the princess debate and I will argue that’s a good place to be. Some complaints are legit, but I think there can be two views of the same argument. So for little girls and grown up girls, here’s a different take on the princess quandary, one that I believe can embrace real life while dancing at the ball in your favorite color gown. 1. Princesses are unrealistically beautiful. It’s true they generally have created a waist size none of us possess, flawless skin, perfect eyelashes and the longest legs. Even if body types changed somewhat in recent years, these ladies are lovely. But it’s not just the animated physical characteristics we should notice. It’s the beauty of their inner character. From the first princess, Snow White, to the most recent, there is a kindness displayed, a compassion for others, and sensitivity to the needs around them. The truest beauty of a woman is through her character, and a tender heart is the most lovely of all. Just because Disney put a pretty face on it, we don’t see a need to be mad about that. The truest of beauty can be found in all of us. 2. Princesses are eternally passive. Again, this is transforming somewhat in recent movies. But are we to mistake their perceived passivity for weakness? 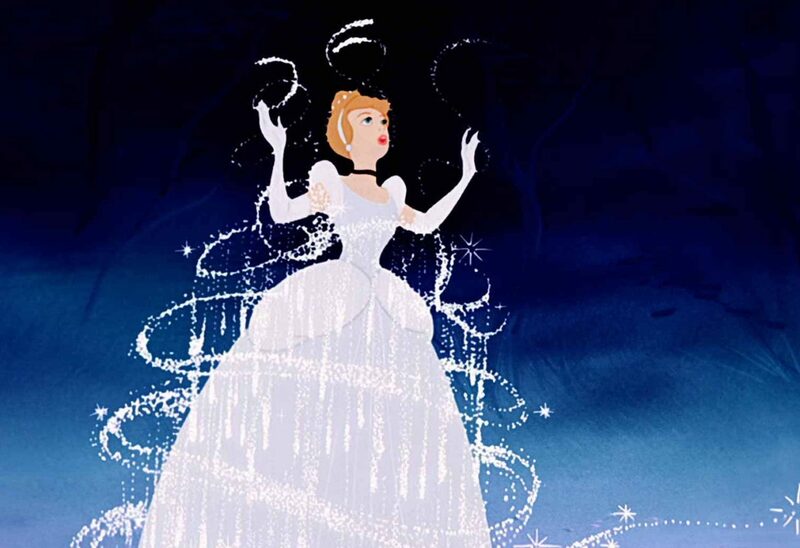 Look at Cinderella: it takes the strongest of women to find joy in the hard times in life. The ongoing argument is that she should have changed her circumstances. She just keeps putting up with the evil stepsisters, and perhaps that is true. But as we all learn in real life, changing the circumstances you find yourself in is not always possible. Strength is demonstrated when a woman discovers it within herself to conquer and find joy in each day even when the challenges she is facing are currently immovable. 3. A princess needs someone to rescue them. I will argue this—sometimes we do. I don’t know a single woman lying in bed in a coma with only one solution to get on her feet who would tell a man, “take that horse and ride on by.” Of course not. Sometimes we need rescuing and sometimes we are the ones to rescue. The stronger part of these stories is the idea that we are worthy of finding someone who loves us enough to fight dragons, wrestle octopuses, and face any challenge if you need them. We should settle for nothing less. It also should be true that you would do the same for him. 4. Princesses promise happily ever after. They do, and yes that is absolutely not true in real life. But a girl can hope, can’t she? Although there is no “ever after,” there are happy endings to our many life stories. If that weren’t true, we should all just crawl into bed and pull a freezer full of ice cream next to us and indulge, never getting up. Our happy endings can come in many forms. Not just a man in our lives, because that really doesn’t answer all life problems…some men create more. Not just having children, that too has its challenges. Not just the beautiful home or amazing job, there isn’t a “perfect” anything in this life. The happy ending found for these princesses may look one way and for us it may look entirely different. Don’t begrudge these animated ladies as you are resolutely discovering your own happy ending. Sometimes we need rescuing and sometimes we are the ones to rescue. So when it comes to entering the theater, popcorn in hand and lights dimming, we should be transported. To a place and time different than our own. We should join in the singing and dancing, embracing the happily ever after. And we should leave the theater with a touch of kindness, a little more strength, and hope created by some pretty lovely ladies.